Considering where this team was at the midpoint, did we got more than we had right to expect? Probably, but then we expected more from the start and got less. Well lets take a look at things as the season ended and what story’s are bouncing around, but with my two cents. The biggest change thus far has to be the termination of Scott Linehan as the OC. I didn’t view him as the main problem. The Cowboys offense under Garrett is a power based scheme and until Dak’s arrival, rather vanilla. When you lose an All Pro in Travis Frederick and insert a converted rookie from tackle to guard, you’re not going to be nearly as dominant. Cut ties with your #1 wideout and you’re offensive is seriously limited. Linehan was called on to run Garrett’s offense, so he could focus solely on running the team as the HC. All because Garrett struggles with game management decisions. A curveball occurred in 2016 when Romo went down and Dak took over. 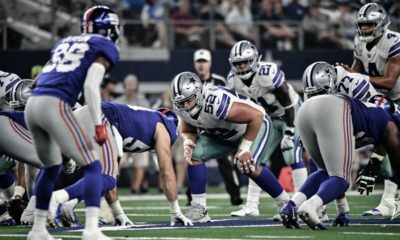 In an NFL minute, Linehan seemed to adapt to the changing of the guard quite well as the team didn’t skip a beat and became the top seed in the NFC. That worked for that one season. NFL coordinators adapted and slowed the offense & Dak the last two seasons. Decisions been made, so we’ll move on to see what and who ultimately gets the position. Whey they’re keeping the new OC selection quiet so long is shocking. I fully expect Kellen Moore to get the nod at this point. 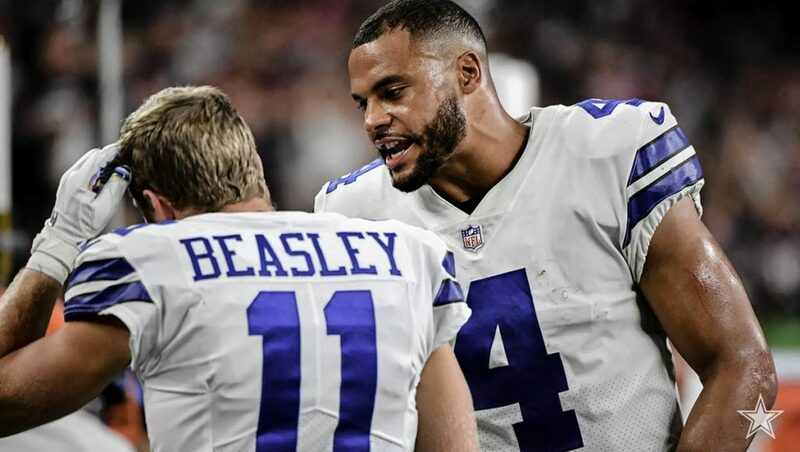 Last week, there was a buzz all around that Cole Beasley, who’s hitting free agency this off season. He says he’d like to remain but only if he’s getting a larger role in the offense. It smacked of just another Diva WR, spouting off about getting targets. He vented his displeasure with his lack of usage and he says he’ll move on to a team that will utilize him better, if need be. There are plusses with Cole that does put him in the higher pecking order for true slot receivers. His targets to catch ratio has been at or near the top of the league several times in his career. His catches on 3rd down plays going for 1st downs is also among his best attributes. Who doesn’t like a clutch performer? Now, Cole wants the dollars of a top flight slot receiver and be involved in the game plan more than he has been. That pay range is in and around 10M a year and I don’t see the Cowboys doling that kind of cash out for the position. Now I’d agree that Beasley’s open more times than he’s thrown to, but we can’t make the QB pull the trigger and make the throw. Who doesn’t like when Cole makes a key play? I love it, but I also see him as part of the problem with the offense. Whoa, why you ask? Well, he has limited range on the field, though Linehan did try at times to get him more vertical. He’s not able to stretch the field, though I thought his quickness at times was effective enough. Problem is that defenses often bracket him. Being that he operates close to the line of scrimmage doesn’t put pressure on the defense. A linebacker bracketing him, doesn’t have to worry about his drops, beyond 7 yards from the LOS. He doesn’t occupy a safety or make them move from their depths. He doesn’t clear out a zone at an intermediate depth. Pluses and minuses, is the best way to put it. At 5′ 8″ he’s done great and as a player of the same stature, I love it, but is it good enough or does this team need a more dynamic player at this position? Frankly, I’m concerned about his hamstring limitations the last two seasons. He missed parts of OTA’s, most of training camp and every player thru the doors in Dallas with hamstring issues, don’t seem to get past this problem. Players we’ve all loved during their time in Big D. If I can target a few WR’s that are a little bigger, faster, with that quick twitch in the draft, then I’d save the money for positions where we must sign players making bigger impacts. Bease isn’t a 75 receptions a year kind of guy. 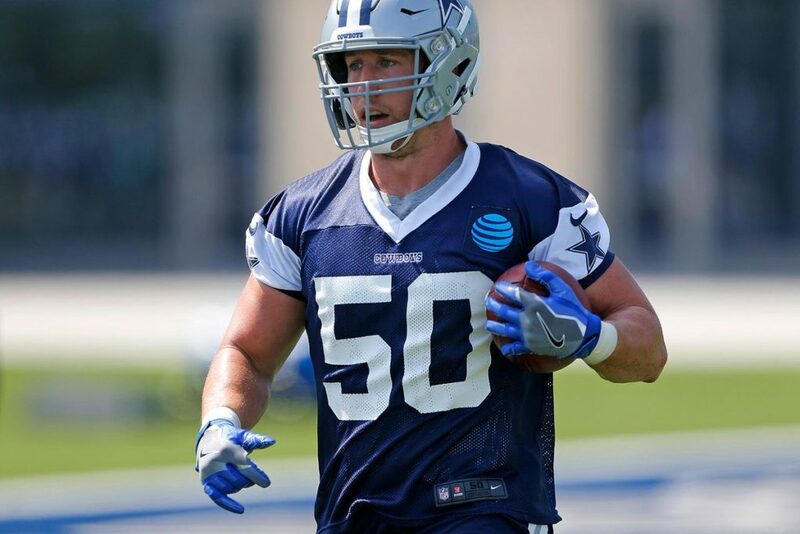 Perhaps the biggest question mark is Sean Lee. 2018 was pretty much a washout for Sean. He only saw snaps in 9 games, with only 30 tackles. In the 2018 draft, Dallas took out an insurance policy in Leighton Vander Esch. They likely thought that LVE would need a year or so to be a contributor. Surprise, surprise, the young man was ready by mid season to take over the position and his outstanding play put him in the running for NFL ROY discussions and gained a spot in the Pro Bowl. After sitting out numerous games, Lee returned to get ready for the playoffs and clearly wasn’t the same player we’ve known. Where does that leave us/the team? His age, 32 and his cap numbers (10M) are issues in the decision process. He can’t be counted on being available for all 16 games. When healthy he’s a really terrific player, we get that and 2019 is the last year on his current deal. I’m not interested in releasing him if he’s able to perform at anywhere near the level of play we’re accustomed to. But that likely means he’s going to have to take a cut. His current contract calls for 7M in base pay, while the cap savings is the same number but with 3M in dead money. Great player. great leader, so I’m hopeful and confident that both sides make it work and allow him to be a contributor and an in house coach for the young guys. Then he can finish out his career in Dallas and forever be a Cowboy! The next topic revolves around players the team will be looking to lock up long term. Top of the list would be Lawrence and his Wardaddy type contract. After that, Cooper, Zeke & Dak are the men up next for new deals. One or more of them may be inked before September. 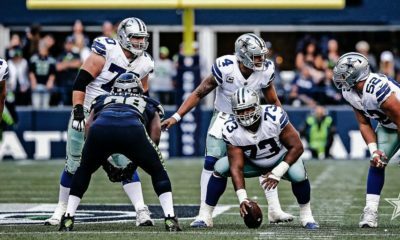 Many have said that the team may burn out Zeke and let him walk. While possible, he’s the key to the offense and hard to see them letting him walk. Zeke is likely the last to get a deal to see how his health is at the end of the season. Cooper rebounded in half a season to give a taste of his ability and we expect his deal to get done this off season. 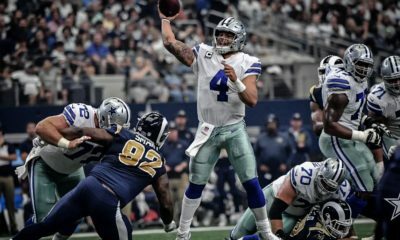 If the cap allows, the deal for Dak may also come down this off season. I’m not on board with signing him to a cap breaking deal, that’s for sure. His struggles with reading defenses, decision making and accuracy will frustrate me to no end. He finds ways to win, so there’s the upside, but he’s good enough to stick with in their eyes. 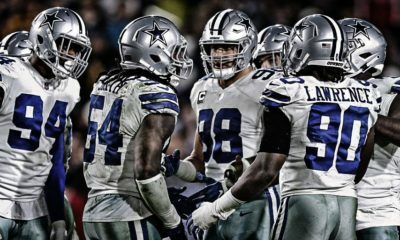 My feeling is a decent defense can get the better of Dak in the playoffs and we’ve seen that. You can’t miss as many plays as he does and win in the playoffs, rarely happens. But hey, Ravens won with one of the worst QB’s as did the Bucs. Finding even a top 15-20 rated QB is no easy task in the NFL. My fear is that they will break the bank for Dak with something in the 22-26M range per year. 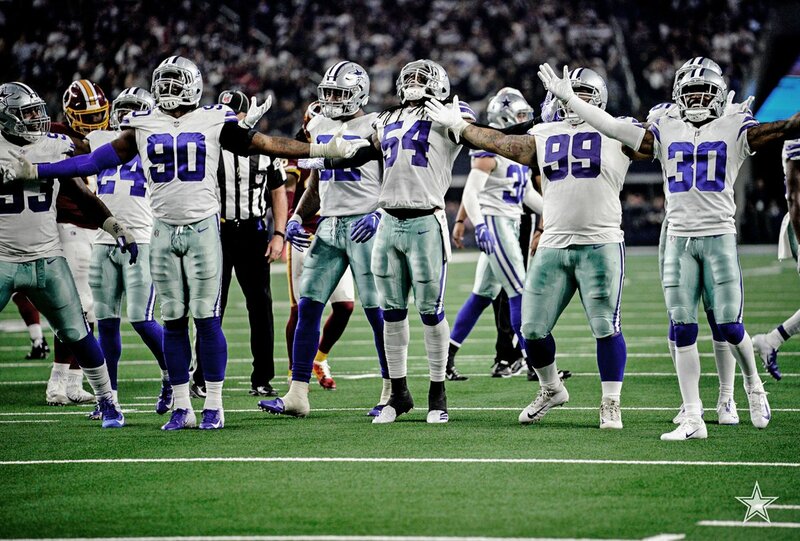 Keep building the defense to be truly better as a team!